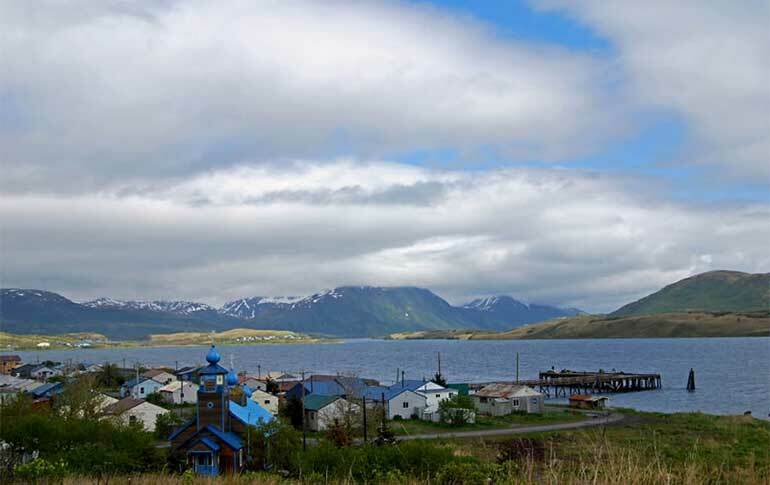 Nestled along the sheltered waters of Sitkalidak Strait, Old Harbor or Nuniaq as it called in the indigenous Alutiiq language, is on the southeast coast of Kodiak Island. Tall peaks serve as a dramatic backdrop for the city, which faces Sitkalidak Island. Sitkalidak Island has the largest population of puffins on the Kodiak Island Archipelago. Old Harbor boasts having the only glacier on Kodiak Island.